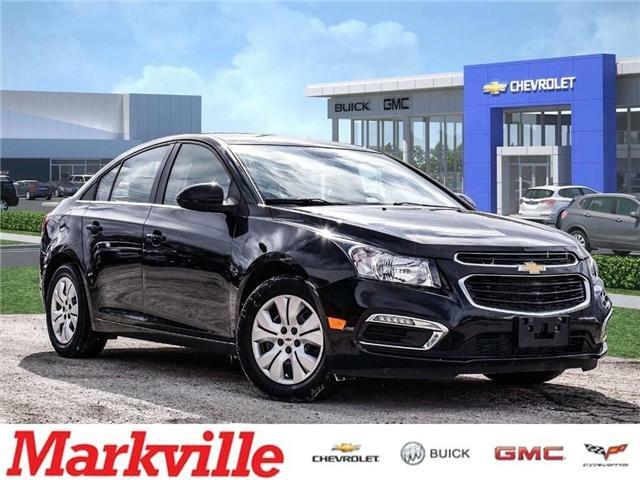 This Very Clean 1 Owner Cruze Has Been Very Well Maintained And It Is In Great Shape ! Financing Is Available And Trades Are Welcome. Equipped With The 1.4L 4 Cylinder Engine And A 6-Speed Automatic Transmission - Remote Vehicle Start - Cruise Control - Remote Keyless Entry - Front Bucket Seats With Cloth Trim - Power Door Locks - Power Heated Exterior Mirrors - Steering Wheel Audio Controls - Climate Control - Rear Vision Camera - Chevrolet MyLink AM/FM Radio With CD/MP3 Playback 7" Colour Touch Screen With Bluetooth Audio Streaming - 6 Speaker Audio System - SiriusXM Satelite Radio - USB Port - Tire Pressure Monitor - OnStar 4G LTE Wi-Fi Hotspot And Lots More! It Was Recently Traded-In- It Has Gone Through Our Very Strict And Thorough Certified Pre-Owned 150+ Point Inspection For Safety And Reconditioning By Our Certified GM Technicians, It Is Fully Reconditioned And Is Ready For A New Home. All Our Certified Pre-Owned Vehicles Come With The Balance Of The Manufacturer's Factory Warranty, A 3 Month / 5,000Km Warranty, A 30 Day Exchange Privilege, And A 24 Month / 40,000 Km Nitrogen Installed Tire Warranty For Roadside Hazards.